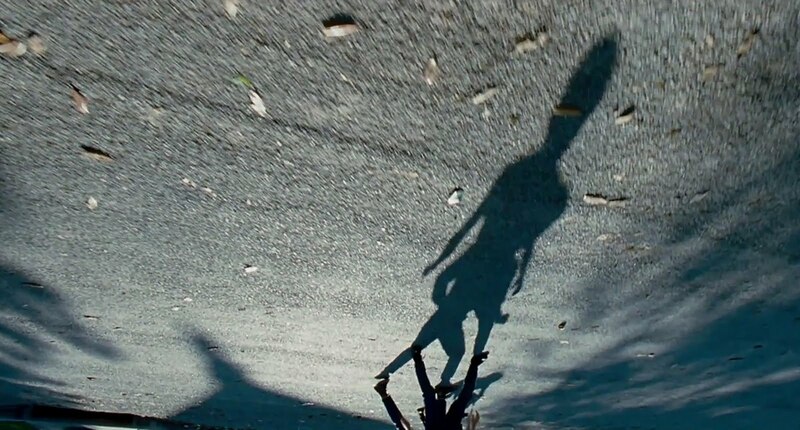 This is my first experience with Terrence Malick's art of filmmaking. Many would argue that the film is an attempt to understand the philosophical tenets of life. Others would contend that the film is an exercise in theology. Still, a few others would insist that the film is a phenomenological study of life. While viewers' opinions may vary in their interpretation, all would agree on one thing, and that is, the film is going to be a clear disappointment to the loyal followers of classical cinematic narratives. This is just because the film (almost) defies the age-old language of cinema and instead makes heavy use of stunning images, intense meditative techniques, and minimal use of dialogues to push its own itinerary of thoughts. The film starts with the descriptive images that chronicle the pre-Big Bang age, the Big Bang, cosmic eruptions, the advent of unicellular organism, rise of the relationship between the prey and the predator (the scene of a large dinosaur establishing its territorial supremacy over a small dinosaur while in the same scene the director infuses a forgiving mood, which is hard to come by in a typical dinosaur movie), which ultimately culminates in the modern age. This series of events basically captures the macroscopic theme of the film. This is all nature and human beings are absent by design. The microscopic view of the film starts with the portrayal of a family in a little American town back in time. Brad Pitt is the father. A strict disciplinarian whose bad temper can get the better of him at times. In contrast, Jessica Chastain is the mother who is an embodiment of unconditional love and tenderness. The character of the father is starkly juxtaposed with that of the mother to represent the two alternative views about life: the way of nature represented by the father and the way of grace and love represented by the mother. Then there are three pre-teen sons the eldest of whom is Jack played by Sean Penn. The director crafts the images from the viewpoint of young Jack, played by Hunter McCracken, who visibly oscillates between these two ways of life. He undergoes a sexual awakening, encounters cruel and caring aspects of life, and as an adult, finds himself in a place that is clearly alien to his senses. Most importantly, Jack shares an uneasy childhood relationship with the middle brother who dies at a young age. We are never told the exact reason behind his immature death. This tragic event, however, engulfs Jack with its utmost force. His overtly conscious self wants to escape the reality of life and continually ponders over the "right" way to deal with life and death. His breakout from this stifling atmosphere comes in the surreal guise of the film’s grey and sombre climax, when he is met by his parents, brothers and everyone he has met so far in his journey in life. The conclusion of the film is manifest by Jack's experience, who realizes that a myeterious mix of the way of nature and the way of grace holds the key to understanding the human existence. 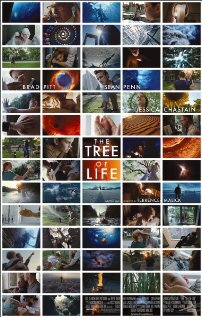 There is a shred of doubt and disagreement about Malick's interpretation of the "way of nature" in the film. There are evidently two sides of the nature. A side that is brutal, willful, and clearly Darwinian. Malick's rendition of the nature coincides with this authoritative, vigorous, and assertive side. The other side of the nature is forgiving, magnanimous, and equitable. This side is starkly absent in Malick's film. The problem is that nature can also represent the "way of grace and love" (remember Weerasethakul's Uncle Boonmee Who Can Recall His Past Lives?). As a result, the film seems to suffer from a biased depiction of the nature's way, which is self-serving to a large extent. The film won the Palme d’Or at the 2011 Cannes Film festival.